For unmatched texture quality and low-water usage, our 100% zoysia seed is an excellent choice for southern states. 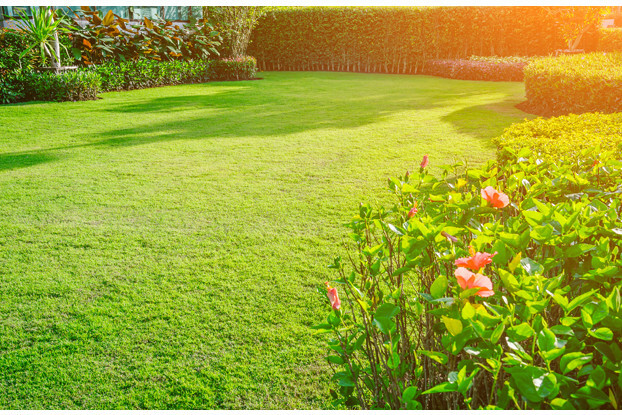 Once established it forms a thick, mat-like lawn that will remain green even during the hottest parts of the summer. When it comes to turfgrass for the southern half of the United States, zoysia grass delivers a luxurious alternative to other commonly used warm-season grasses. We’re currently using ‘Compadre’, a premium seeded zoysia variety with improved texture, color, and growth habit. This variety also has a longer lasting green color into the fall and an earlier spring green-up than other varieties. Seeding Rate: 2 lbs. / 1000 sqft. Need a lawn grass with superior drought tolerance that can withstand the hot summer temperatures of the southern United States region? Consider a zoysia grass lawn. Zoysia grass is a warm-season grass that reaches its full potential during the warm summer months. The roots of zoysia grass grow deep, a trait that allows such low water needs. This deep rooting quality also ensures that any damage inflicted on the surface will be able to recover, although it should be noted that zoysia can take a year or two to fully establish. But once it’s established it provides a thick, solid, mat-like lawn or sports turf. Our Zoysia Grass Seed Blend contains 100% pure, premium zoysia seeds. This blend is perfect for anywhere in the southern United States and is actually one of the most cold tolerant of all warm-season species. This species is also known for its tolerance of salty and alkaline soils.